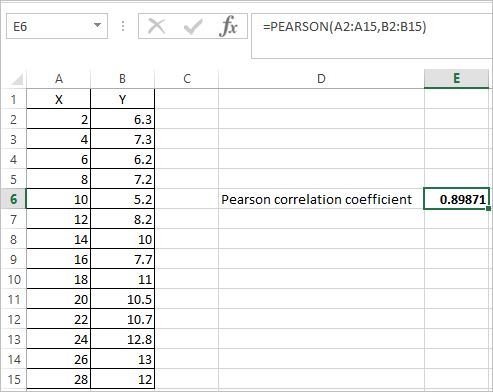 PEARSON Function in Excel calculates the Correlation Coefficient for two sets of values. where x and y are the sample means of the two arrays of values. Where array1 is a set of independent variable and array2 is a set of dependent variable. as shown in the above example. 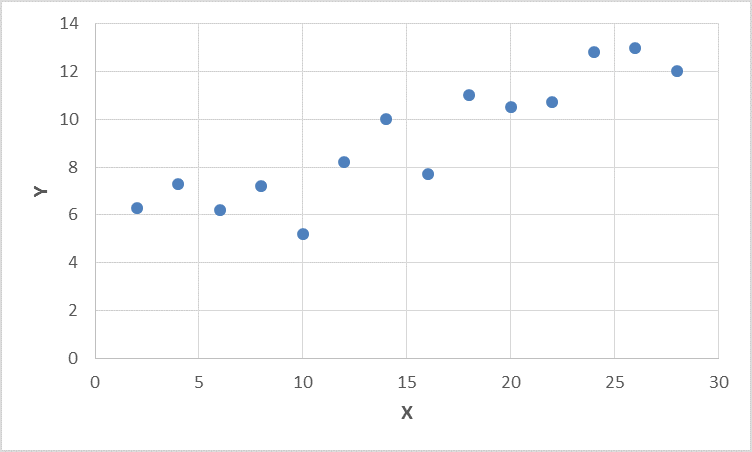 This result in the value of 0.89871, which indicates a strong positive correlation between the two sets of values. #N/A – Occurs if the supplied arrays are of different lengths.